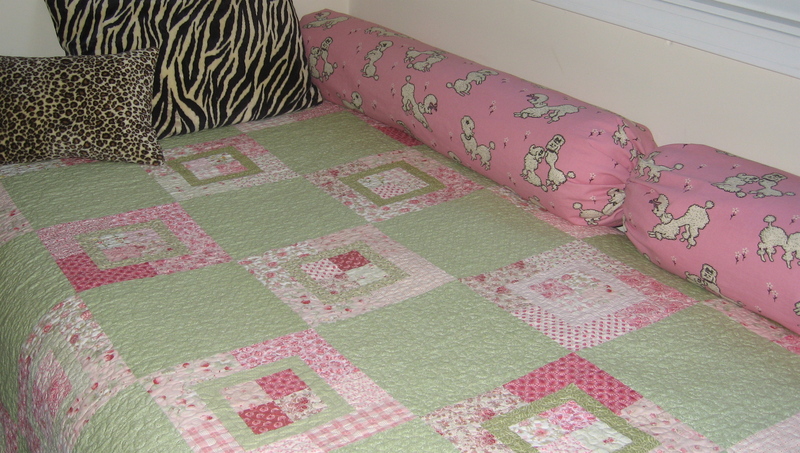 When my daughter was born nine years ago, I chose two colors to work around – a rosy pink and moss green. I also decided to create a room that would work as she grew up and, I have to admit, one that I would have liked at her age: The Roman shades have big cabbage roses, the stuffed chair I picked up at a garage sale is upholstered in a sweet all-over floral print, and the furniture is an assortment of family heirlooms (the trunk that carried my great-grandparents’ belongings from Norway, the writing desk my aunt pulled off a garbage truck in Hyde Park in the 1960s, and the wash stand received from my parents as a wedding present). Flash forward nine years, and while I thought (read: assumed) the room would work beautifully as she got older, she has a few of her own ideas about her tween room. Over the last year, she has added her own touches – posters of pop music stars and her own drawings taped to the wall (next to the bunny quilt I made when she was a baby), a calendar thumb tacked to the door, and mod flowers that stick to the windows. My only stipulation has been that the Roman shades stay because they are too nice to replace. 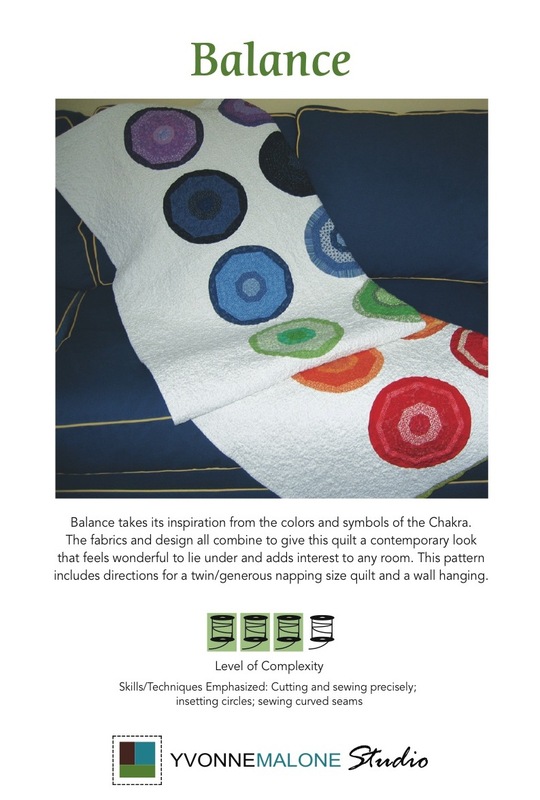 Earlier this year, she played the role of client and picked fabrics for a quilt from my stash and, then together we designed it. Over the last few months, she has added some pillow made of fabrics of her own choosing, while I pretty much have stood back and just sewed (even though some of the fabrics clash a bit with the shades). So the room is losing a bit of the polish it once had, but it is becoming more her room and less mine. I’ve also concluded that the room decor, for the most part, is the little stuff … when my tween begins the argument for why she should have a cell phone and be able to text during dinner, I will take a stand! 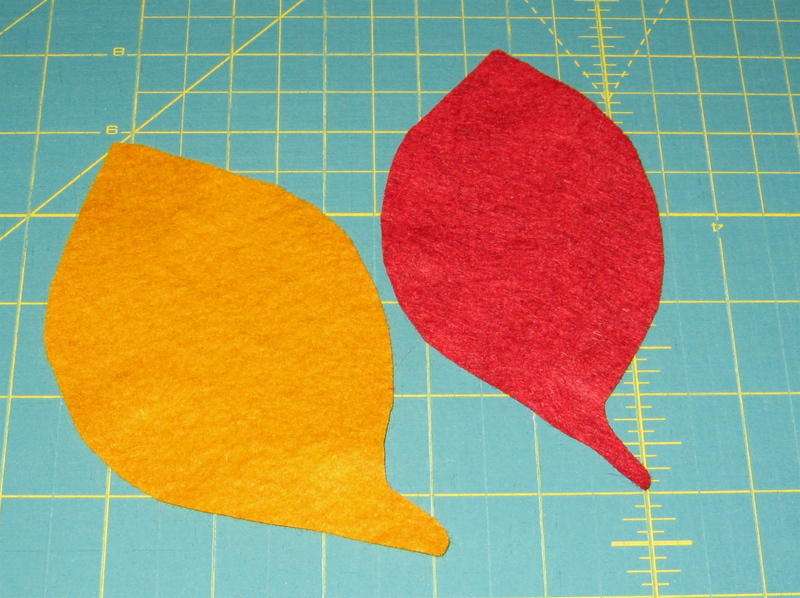 Finish the edges using your favorite method, such as a zigzag stitch around the edges. Fold the rectangle in half, right sides together, and sew a 5/8″ seam from one of the long edge to the other end; you now have a long tube. Press the seam open and turn right side out. Make a casing for the ribbon by turning the ends down 1/2″ to the wrong side; press. Then, turn the ends down another 1″. 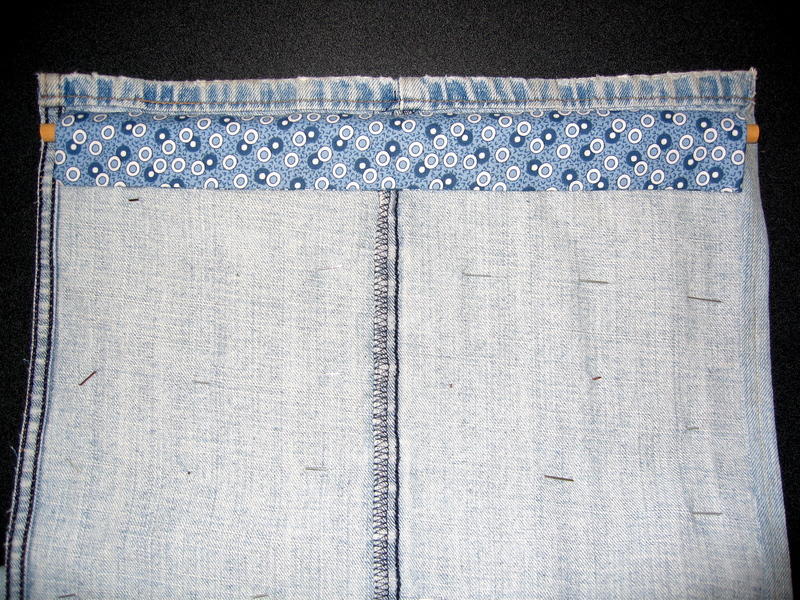 Top stitch about 3/4″ from the edge, making sure to catch all fabric layers. Leave about a 3/4″ gap to thread the ribbon through. Cut a length of ribbon and attach a safety pin to one end of the ribbon; thread it through the casing. (I used about a 30″ piece of ribbon.) 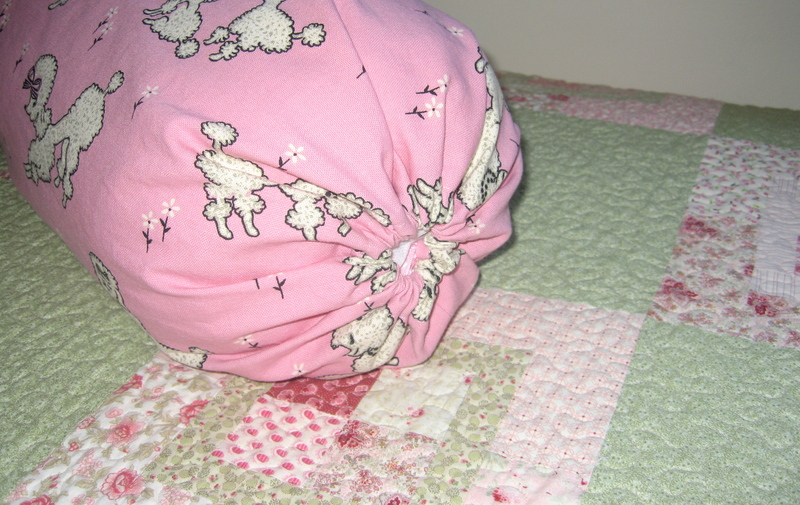 Then tie the ends of the ribbon together fairly tight and tuck inside the pillow. When necessary, you can just pull the ribbon out of the pillow ends, untie, and throw the case into the washing machine. Finish the ends of the pillow if you like. I wanted to tack a large button on each end, but my daughter thought it was just fine without. It is her room I reminded myself, so we skipped this step. My son is a collector, especially of rocks, pins, and coins. Most of his collections have been assembled by scouring creek beds (rocks and coins), looking through my old jewelry box from when I was a kid (pins), and sorting through the change jar (coins). To help rein in these collections, we have been going through each one to sort out duplicates or ones that no longer capture his attention. We have also been working on how to display each collection so that he – and others – can enjoy. For this project, I used just the lower leg portions of a pair of worn out jeans. The length of the pieces I cut off was determined by a big hole in one pant leg; I just measured up from the hem to that hole and then cut off the same amount from each leg. Then, I cut along the outside seam of each pant leg very close to the seam. Next, I turned under the raw edge created by that cut and topstitched in gold thread to match the original thread as much as possible. Last, I seamed the two legs together (using a 5/8-inch seam allowance) with the hem of one leg on the bottom of the wall hanging and the hem of the other leg on the top edge of the wall hanging. 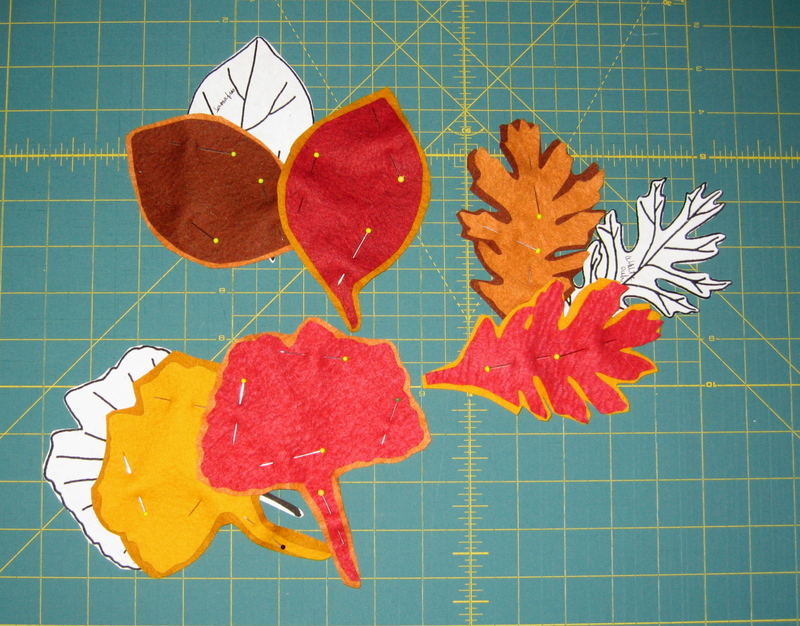 Now for the fun part: Arranging the pins on the wall hanging! This took a bit of time, especially as the quilter in me took over and I wanted to dominate the process to make sure colors, sizes, and motifs were laid out in a way that was interesting and kept the eye moving. 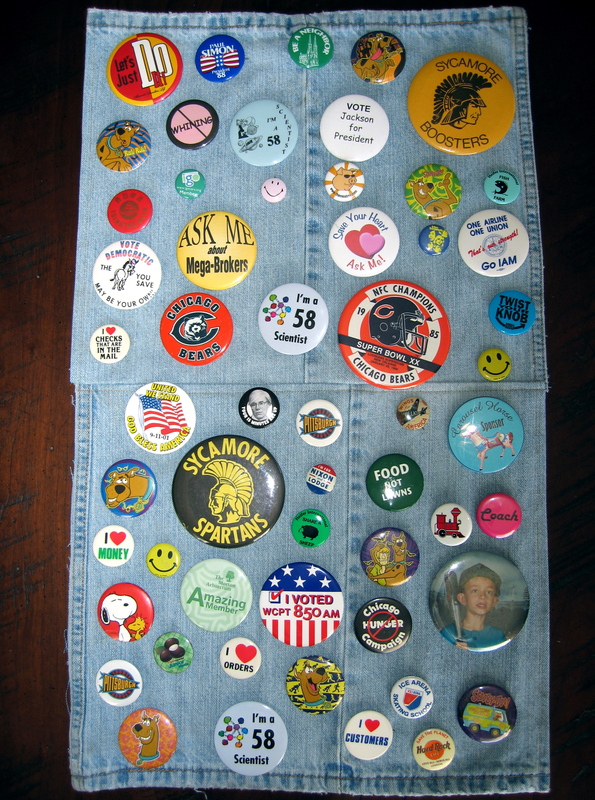 I have to admit arranging the pins took far longer than sewing the wall hanging. For the first few days, the hanging was slung over an old steamer trunk in his bedroom and it looked pretty cool. However, soon a pair of blue jeans and t-shirt were layered on top, so we decided to actually hang the wall hanging up sooner (this week), rather than later (in a year or two). I handstitched a “sleeve” on the back (measuring about 1-1/2 inches x the width of the wall hanging less 3/4 inch on each side) and slid a 1/2 inch dowel through the sleeve. The dowel had been cut to measure about 1/4 inch less than the width of the wall hanging. The ends of the dowel rest on two nails on the wall and are hidden by the wall hanging itself, so the wall hanging appears to float on the wall. The wall hanging is fairly heavy given its size, so the intention is to just make another one to hang alongside the original as the pin collection expands. This project will not win any sewing awards – it is pretty rustic looking – but it fits great with the room decor of a 14-year old boy. Regarding my lack of posts these past several weeks, I can explain: sinus infection, pink eye, my other day job (the one that pays), and ushering kids through that last heap of homework and school projects before the holiday break. Oh, and one other thing, I have been making quite a few gifts with several more still in the works. For the teachers this year, I have been using some of those cute holiday fabrics and leftover pieces of batting from various quilting projects to make coaster sets. 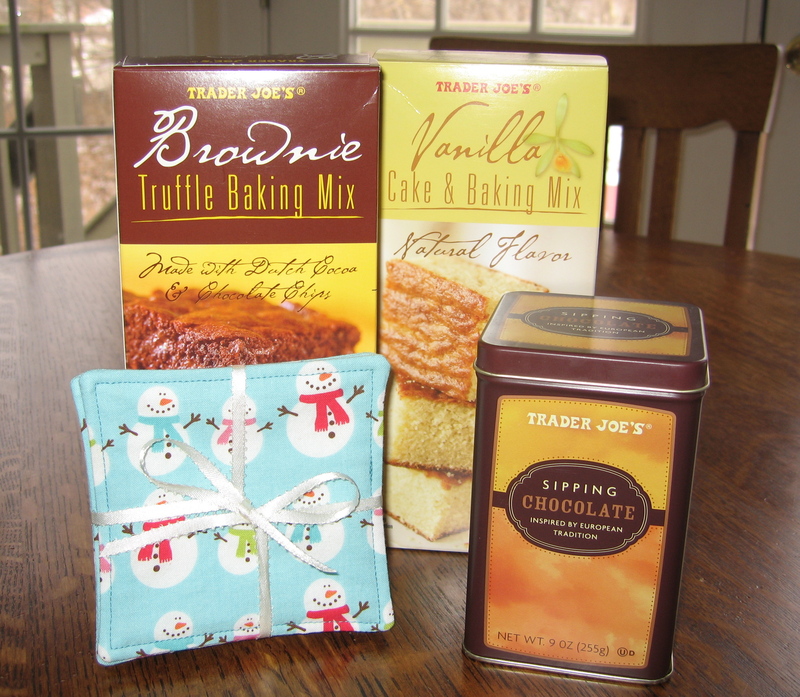 When combined with some favorite baking and hot chocolate mixes, it makes for a practical, but yummy gift. 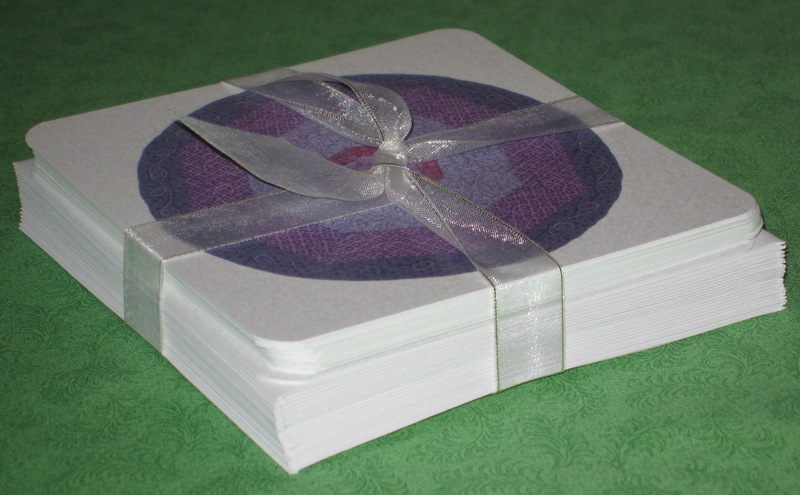 I also like the fact that the coasters are simple enough that kids can help make them. 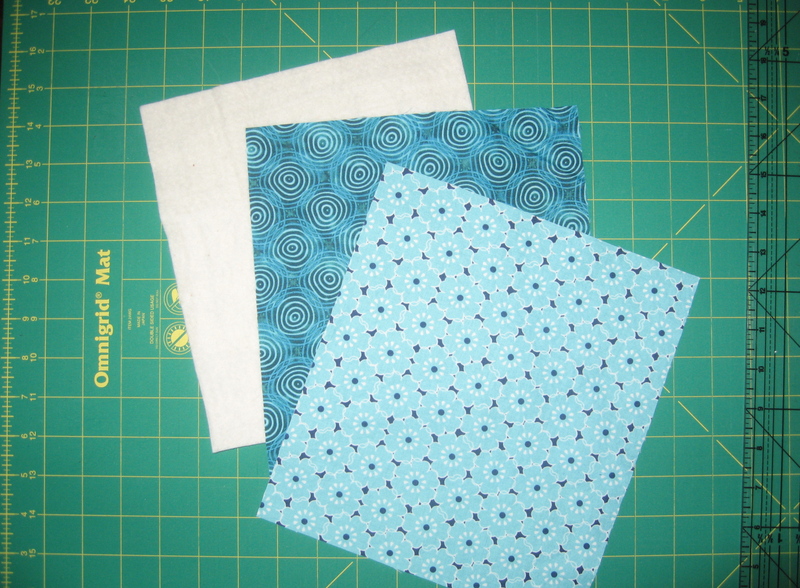 To make, cut out two 4-1/2″ squares of fabric and one 4″ square of batting for each coaster. 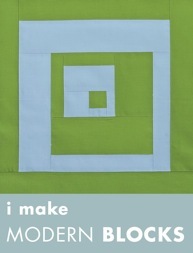 Lay the two fabric pieces right sides together and then lay the batting on top, centering it on the fabric squares. 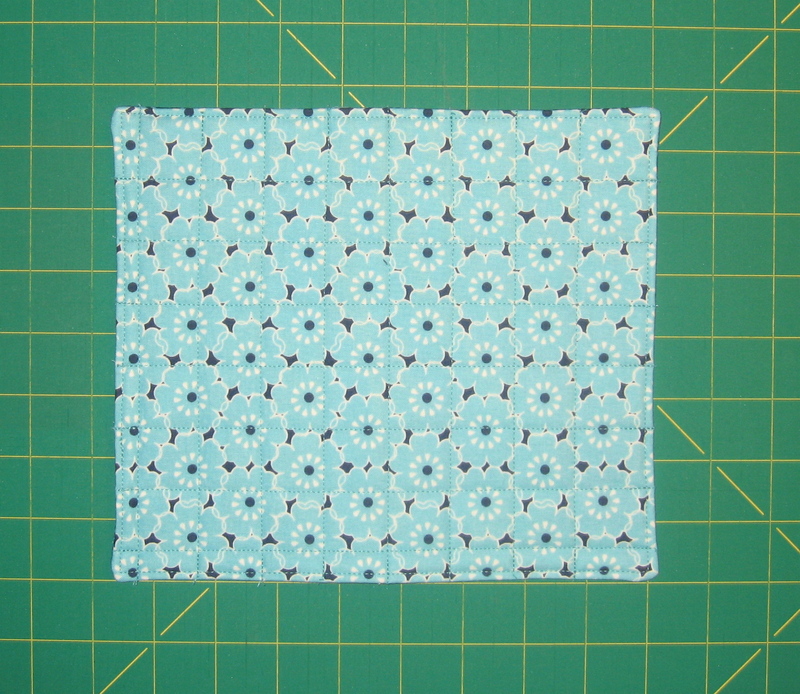 Using a 1/4″ seam allowance, stitch around the coaster through all three layers, but leave a 2″ gap for turning right side out. 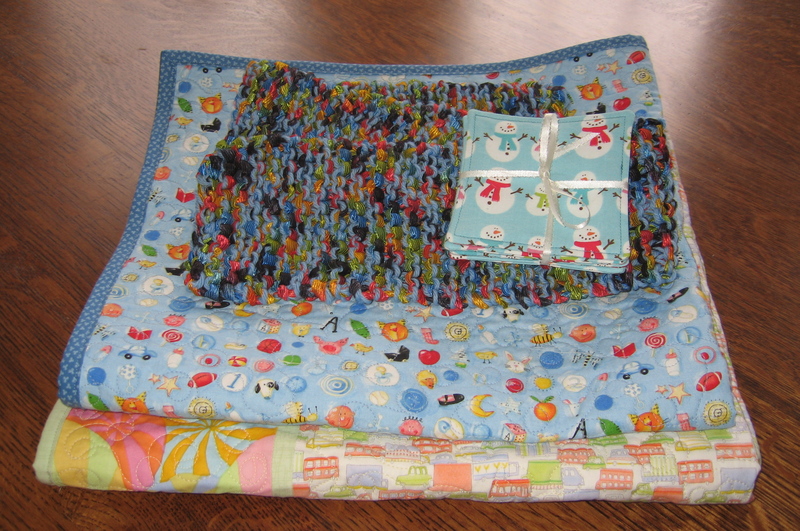 Turn right side out, press, whip-stitch the opening closed, and quilt. 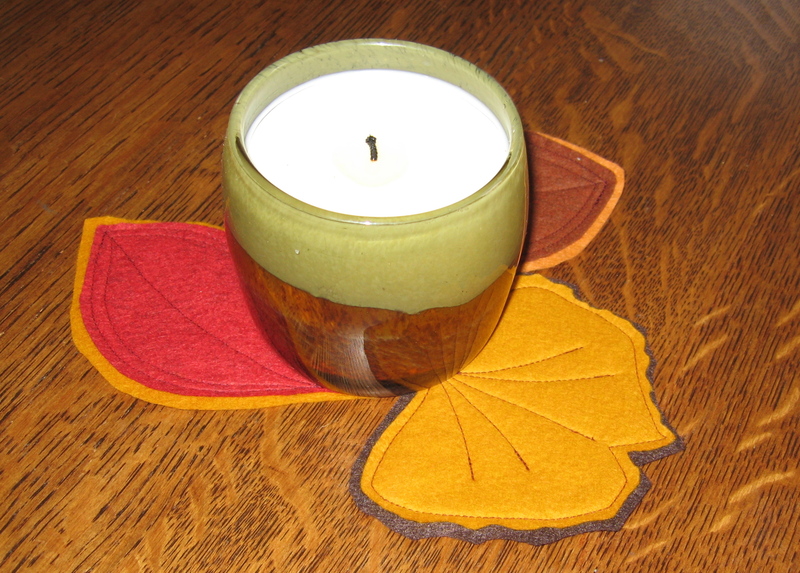 I quilted these coasters by stitching just about 1/4″ from the edge so as not to interfere with the fabric’s design. 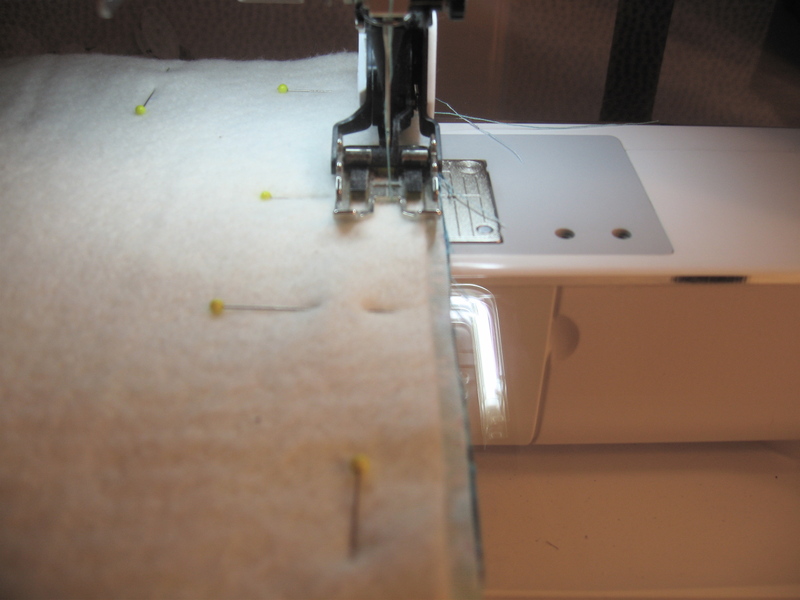 I used the walking foot attachment on my Bernina sewing machine to prevent the layers of fabric from shifting when sewing. Several friends are getting knitted scarves — each one is different in terms of its design, color, and length. 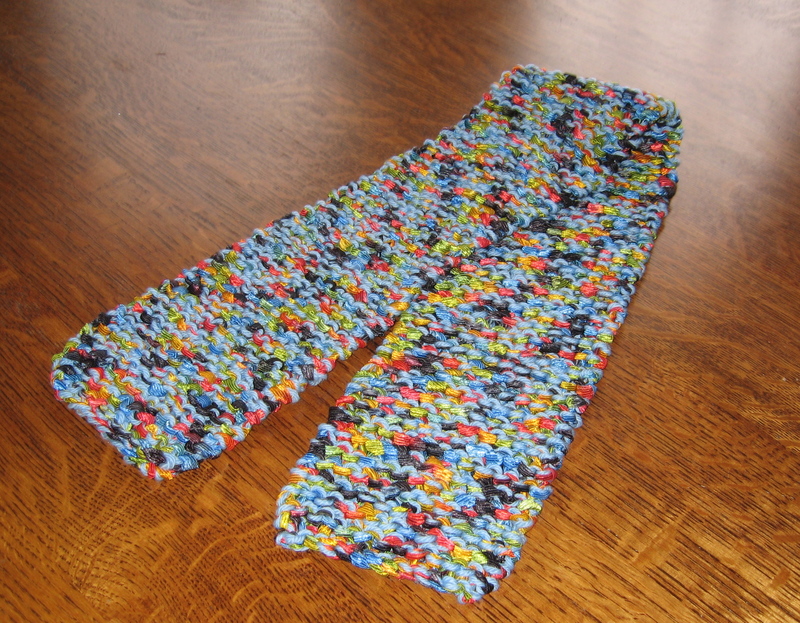 The scarf below, knit in all garter stitch on size 15 needles, uses two different yarns. It measures 35 inches, a length that I really like wearing with certain coats and sweaters. (I am becoming more and more like my grandmother who always had a cold neck — now I, too, like a scarf tucked around my neck in the house and out on these cold winter days. At least I’m not wearing one in August yet!) Scarves are great way to use up lone skeins, play with novelty yarns, or mix and match yarns to create an interesting pattern. 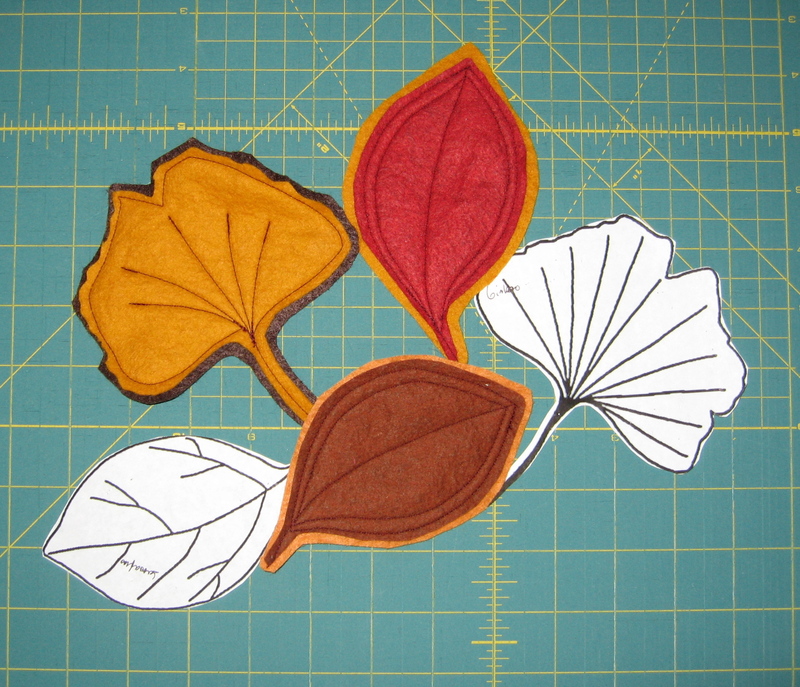 Well, back to being an elf … happy sewing! With Thanksgiving just around the corner, my attention is totally focused on the table right now — the people who will be sitting around it come Thursday and the foods that we will be preparing and enjoying — as well as all that I have to be thankful for. Therefore, when I sat down to play with Marcia Derse’s wonderful fabrics, I shelved my original idea to make a purse and instead designed this simple, modern table runner. After finishing the one above with an off-white background, I played the “what if” game and made another table runner, this time in green. 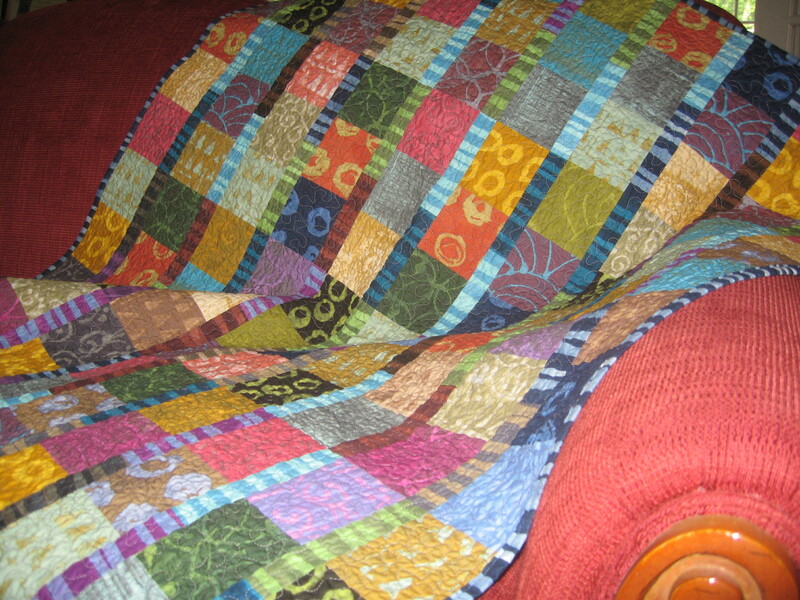 As you can see it is not quite finished; I think I will quilt this one. I’m not sure if I will get it done for Thanksgiving, but I can definitely envision some Fall decorations on it — dried flowers, small ceramic pumpkins, or a simple wood candleholder/candle. 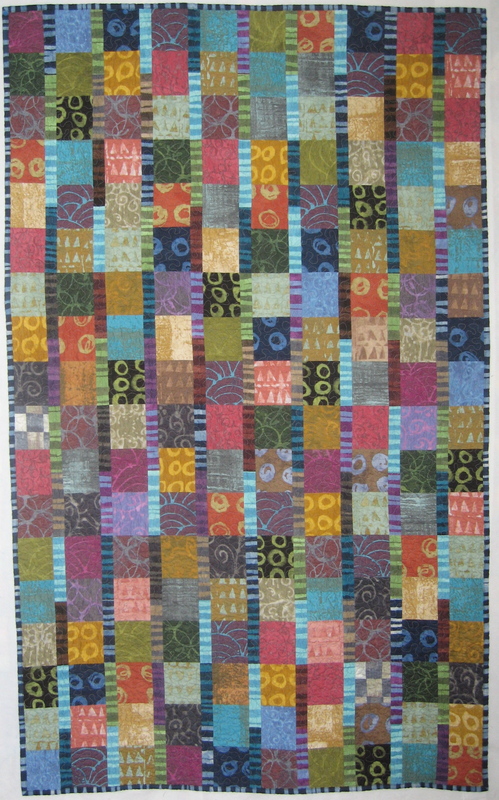 Here is a free pdf of this pattern TableRunnerPattern. When I was photographing these runners, I realized what a nice wall hanging this design makes, although I would definitely quilt the piece so that it would hang better. In our fast-paced world, aprons are a reminder of simpler times and good, home-cooked meals. When you see a vintage apron at a flea market or antique shop, it’s hard not to imagine the history behind it and the person to whom it belonged: the simple cotton apron that looks pieced together from leftover dress fabric was perhaps worn by a grandmother as she prepared her famous pot roast for her grown children and their expanding families on Sunday afternoons; the georgette apron was put on right before the guests arrived for a wedding shower and a light lunch of fancy tea sandwiches, cake and punch . . . Of course, as the adult now, I soon snap back to reality and think about the dishes after these events and how tired the hostess must have been at the end of the day when she finally hung up that apron! The apron here is very utilitarian in design, but the fabrics you choose set it apart. The beauty of it, too, is that you can wear one side when cooking and the other when serving. Choose fabrics that have enough pattern so that any splatters are barely visible. I made coordinating aprons for my daughter and I – her apron features the same motif but in two different colorways; my apron has a pear fabric on one side and a geometric print on the other that mimics the colors and organic lines of the pears. 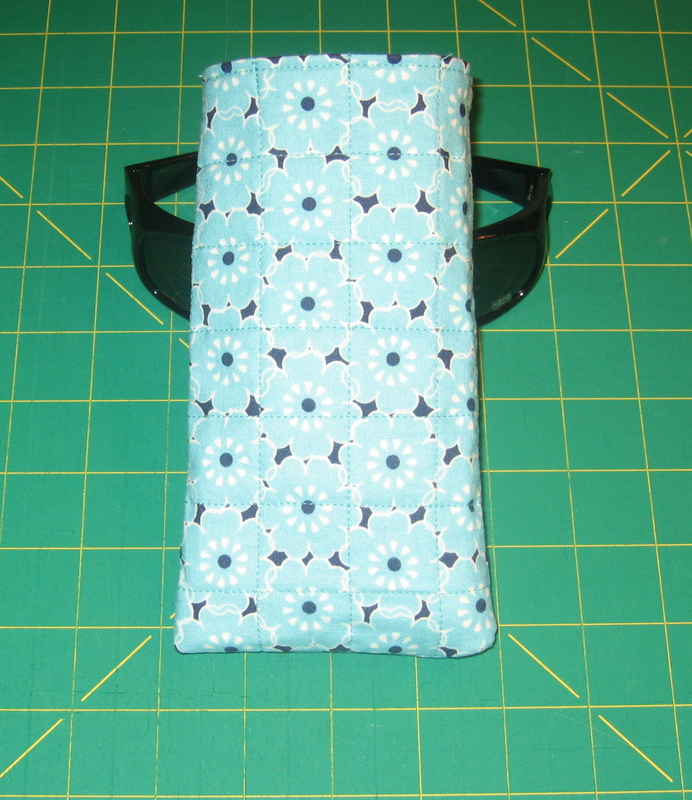 I like to fold the top edge down a few inches to show the coordinating fabric on the reverse side. If you have another fabric you want to showcase, add a pocket; or, if you like to embroider, you can embellish one or both sides. 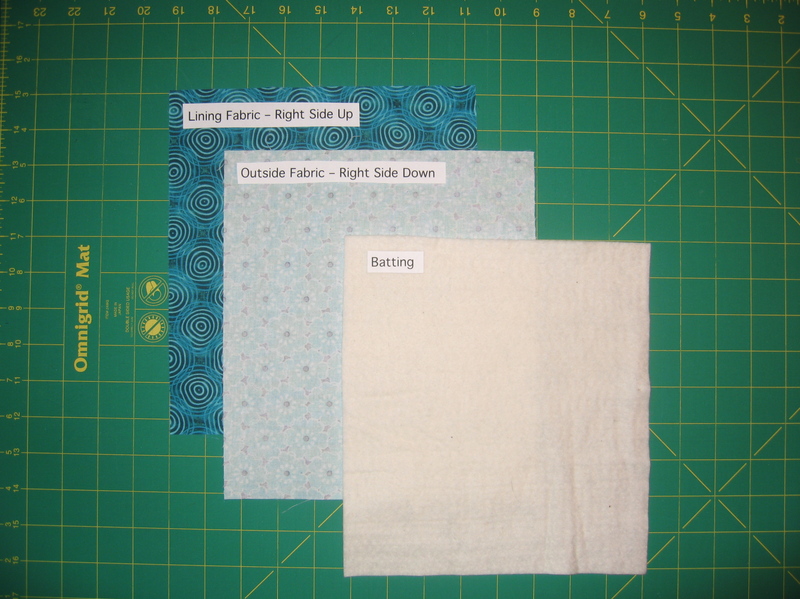 Just remember to add these extras before you sew the two main fabrics together. So whether you are looking for a simple project to fill a rainy afternoon, introduce a young person to the sewing machine, or simply want a little instant gratification in your sewing world, this makes an easy, quick project. Start to finish, it took less than an hour to complete each apron. So, click ApronPattern for a free pdf of the complete, step-by-step directions, and get sewing! If you want to continue down the apron-making path, you might want to check out The Apron Book: Making, Wearing, and Sharing a Bit of Cloth and Comfort by EllynAnne Geisel and A is for Apron: 25 Fresh & Flirty Designs by Nathalie Mornu.